Across Africa, corporations are grabbing community land and water - and nowhere more than in Liberia, where half the country has already been allocated to foreign investors. But one community has shown it's possible to overcome intimidation, organise and resist. Right now in Abuja, Nigeria, agribusiness corporations are courting African governments at the Grow Africa Investment Forum to 'further accelerate sustainable agricultural growth in Africa'. Corporations’ interest in agriculture in Africa has certainly accelerated corporate control of land and seeds but done little to support agriculture that will feed the continent. Rather than support family farming and smallholder agriculture private sector investment in agriculture has resulted in grabbing land from communities; the land which they farm sustainably and rely on for their survival. Communities are resisting this corporate takeover of their land and they are winning. All over Africa people are sending a clear message to their governments; stop selling Africa to corporations. 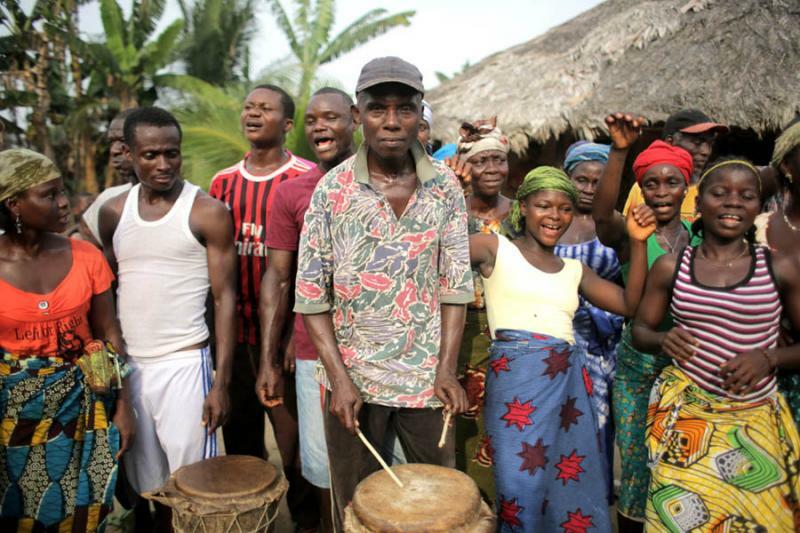 The Jogbahn Clan in Liberia is one such community and here is their story. The sense of jubilation in Blayahstown is palpable. People come from surrounding villages to join in the celebrations and the town is filled with singing and dancing. The Jogbahn Clan is celebrating a victory as the President of Liberia has now recognised their right to say no Equatorial Palm Oil (EPO) a British palm oil company grabbing their land. This is no small feat in a country where over 50% of the land has been given to a corporation without the consent of the communities who customarily own the land. Walking through the forest Deyeatee Kardor, the Clan’s Chairlady picks leaves and describes the different medicines that they can be used for. She recounts how she and her family hid in the forest throughout the war and managed to survive on the plants and fruits growing in the bush. Though the land bears the scars of the recent past it also represents the Clan’s ancestral home and they would not willingly allow this deep connection to the land to be fractured. “The land gives us everything” Chio says as he surveys the area; the vegetables, wild palm and sugar cane growing all around. 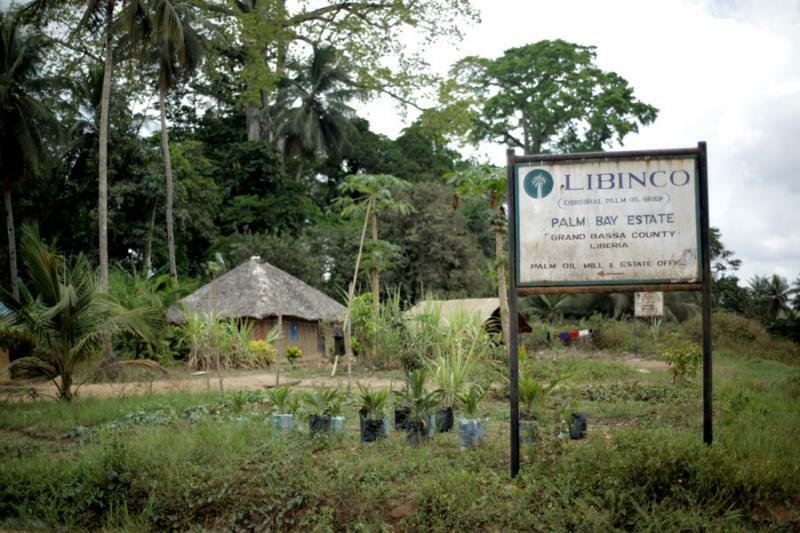 Like other rural communities in Liberia they make their livelihood from the land they manage collectively. The clan are self-sufficient and manage the land sustainably. For the Clan; to lose their land is to lose everything. The communities’ resistance began in 2012 when EPO began to expand their plantation onto community land. 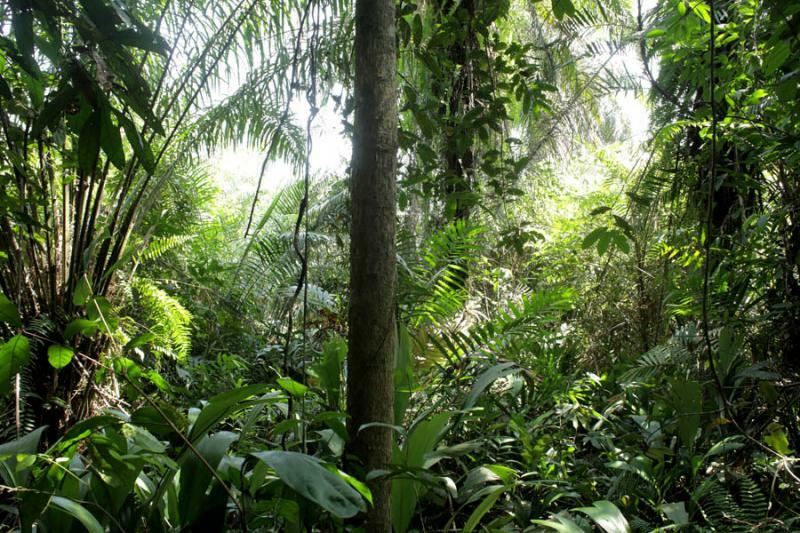 The Government of Liberia and EPO had signed a concession agreement allowing the company’s plantation to engulf the communities’ land amounting to over 20,000 hectares. 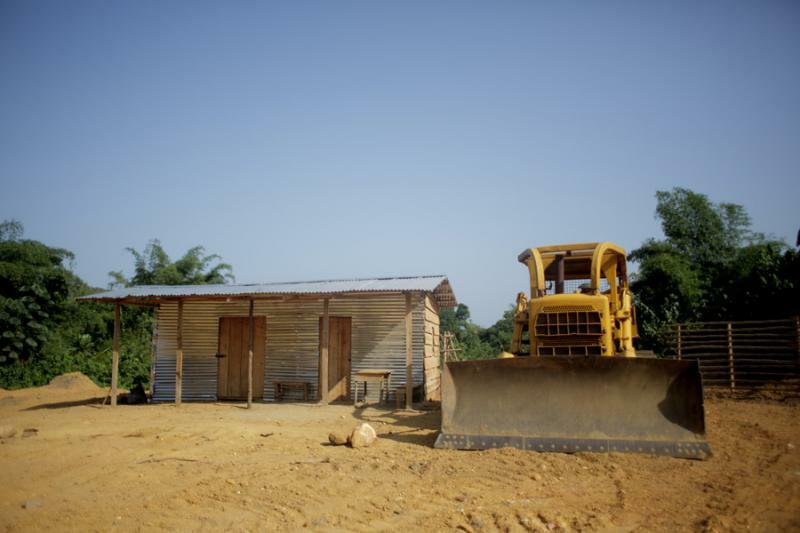 Communities all over Liberia are facing the same threat as their lands are given to companies without their consent. As a result conflict between communities and companies has been widespread. The Clan organised and came together to resist their land being grabbed. Men, women and youth from the 11 affected towns chose representatives to form a core group to lead the resistance. They met the company and the government several times to object to the company’s expansion. In spite of this towards the end of 2012 EPO began clearing and planting their land destroying crops and farmland. In September 2013 EPO began surveying the communities’ land without their consent. When communities attempted to stop the survey a paramilitary police unit was deployed into the area. People suffered harassment and intimidation by EPO security and the police. They drove through villages at night flashing their emergency lights and arrived in villages riding on top of vehicles the same way rebel fighters did during the war. People were also assaulted during a peaceful march and 17 people suffered arbitrary arrest. The Clan Chief was also suspended from his position by the government because he spoke out against the company. Despite these aggressive tactics the community continued resisting. They lodged a complaint to the Roundtable on Sustainable Palm Oil (RSPO) and presented a petition to the government stating their objections. “All they have done is try to divide us” commented Deyeatee, “They offer important people a little money to try to convince them”. However the community refused to be weakened by division and eventually secured the crucial meeting with the Liberian President Ellen Johnson Sirleaf where she recognised their right to say ‘no’ to the company. Despite the President's commitment EPO has still not recognised that the Clan has said no to their operations. They are operating as if things are business as usual and conducting studies of the Clan’s land in preparation for clearing. Land clearance and other preparatory activities would be unlawful, as they do not respect communities’ right to give or withhold their Free Prior and Informed Consent, which is a requirement provided for under both national law and international law. But the Clan are not discouraged and they continue their resistance for the hope of a better future; “We want the government to support us to be self-sufficient on our land instead of giving it to a company who will just take the money and go home. Instead we can keep the money in Liberia and we can live better lives” said Garmondeh Benwon (R). Every year, an area five times the land size of Liberia is grabbed from communities around the world. The Jogbahn Clan show that stopping it is possible when communities stand together, mobilise and resist. The government has recognised their right to say no now EPO and KLK, their majority shareholder, must do the same. “When our land is free, we’re all free”. Support the Jogbahn Clan to protect their land and resources, tell EPO NO means NO! Sign the petition! Join the conversation on Twitter and tell governments and investors that we can #GrowAfrica without landgrabbing. Silas Kpanan'Ayoung Siakor is a campaigner on Community Rights and the founder of the Sustainable Development Institute/Friends of the Earth, Liberia a national civil society organisation promoting the sustainable and just use of Liberia’s natural resources. Silas has received the Goldman Environmental Prize in 2006, the Award for Extraordinary Achievement in Environmental and Human Rights Activism from The Alexander Soros Foundation in 2012 and TIME Magazine chose him as one of the 2008 Heroes of the Environment. Jacinta Fay is a community worker and campaigner for the Community Rights and Corporate Governance Programme of the Sustainable Development Institute/Friends of the Earth Liberia which supports communities protect their land and resources and challenges corporate and government actions which threaten community rights. She is also Landgrab Campaigner for Friends of the Earth International which works to challenge landgrabbing, defend community territories and protect land rights. She also campaigns on trade justice, reproductive rights and social justice issues.